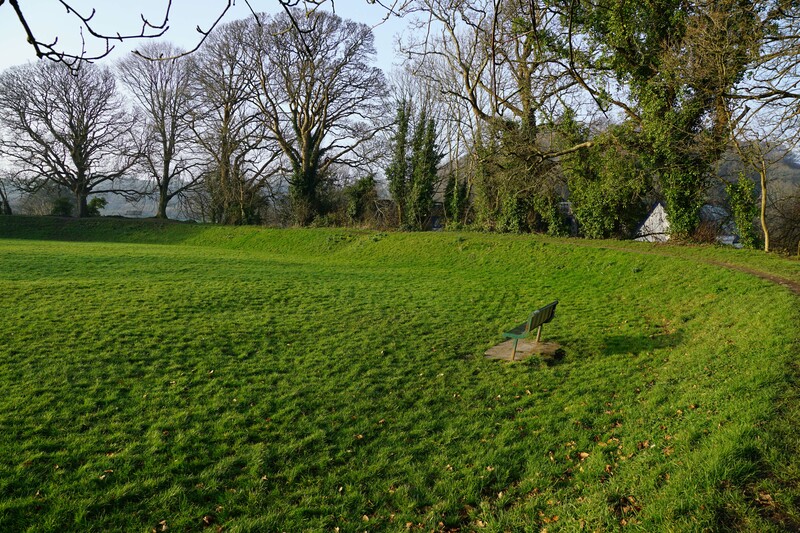 Plympton Castle was a motte-and-bailey fortification built in the early twelfth century. In 1136 its owner, Baldwin de Redvers, rebelled against King Stephen resulting in the castle being burnt. It was rebuilt but was besieged again in 1224 by Henry III. During the Civil War it was used as Prince Maurice’s headquarters during the siege of Plymouth. 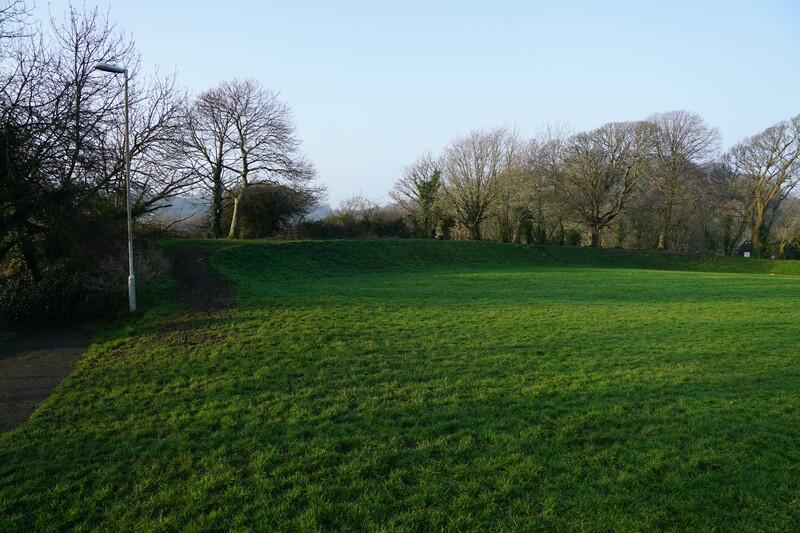 The first fortification at Plympton was built by the Saxons in the ninth century AD as a defensive measure against Norse raids (the name Plympton derived from Penlyndon meaning "fort at the head of a creek"). 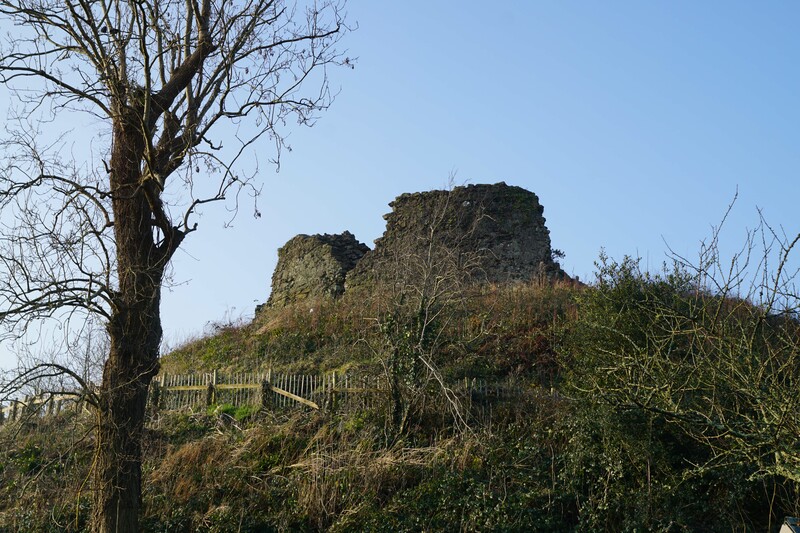 After the Norman Conquest the area was granted to Richard de Redvers, Earl of Devon and it was either he or his son, Baldwin, who built the castle circa-1100. It took the form of an earth and timber motte-and-bailey fortification. The substantial motte was topped by a timber palisade whilst its base was surrounded by a ditch. The bailey, which extended to the west, was broadly rectangular and was surrounded by a substantial rampart fronted by a ditch. In 1135 Henry I died leaving just a daughter, Matilda, as his heir. Although the leading magnates of the realm had pledged to support her, upon the King's death they switched their support to Stephen of Blois. 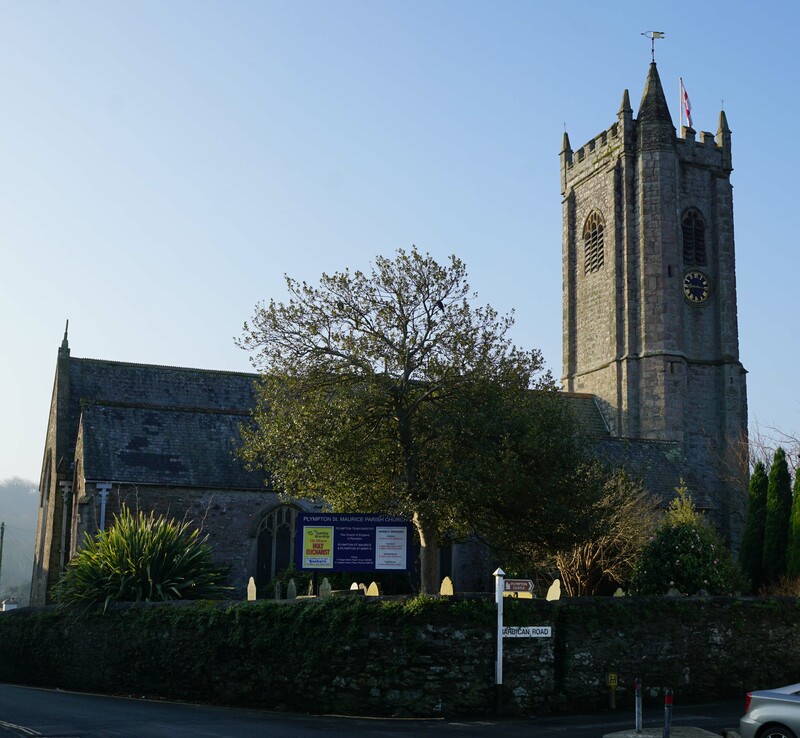 Despite an initial rebellion by Robert of Bampton (from Bampton Castle), which was quickly suppressed, it seemed likely Stephen's regime would triumph. However, in 1136 the then owner of Plympton Castle - Baldwin de Redvers, Earl of Devon - rebelled against the King. Precisely what prompted this is unknown although food shortages across the South West may well have been an important factor. 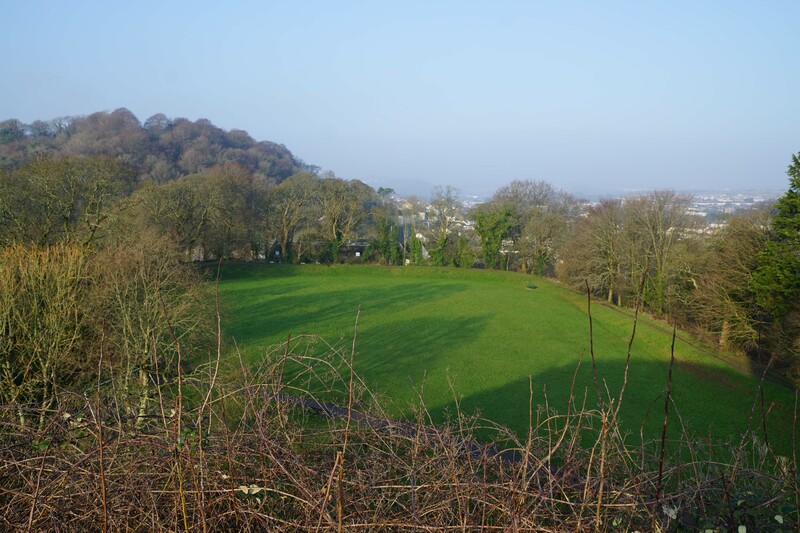 Stephen resolved to crush Baldwin and sent a large force into Devon to seize and destroy his property. Baldwin's main force was at Exeter Castle where he was besieged by Royal forces and, thanks to a particularly hot Summer, eventually fell. Concurrently Baldwin's garrison at Plympton Castle petitioned the King to accept their surrender which he duly did although the castle was subsequently burnt to the ground. Baldwin fled to Carisbrooke Castle on the Isle of Wight before fleeing abroad to join Matilda. Five years later, after Stephen had been (temporarily) defeated at the First Battle of Lincoln (1141), Plympton Castle was restored to Baldwin. 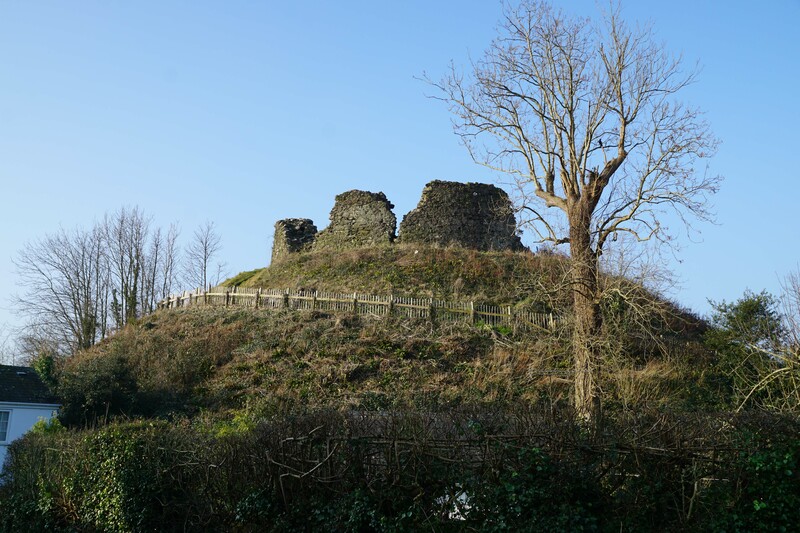 By the early thirteenth century, Plympton Castle had been rebuilt with a circular stone shell keep on top of the motte surrounding an inner circular tower (a similar one can be seen at Launceston Castle). At this time the castle was in the hands of William de Vernon, Earl of Devon, who was a loyal supporter of King John. However in 1216, as the country became engulfed in the First Barons' War, the King authorised Falkes de Breauté, a royal servant and mercenary soldier, to seize the Earl's widowed daughter-in-law, forcibly marry her and thus acquire her dowry which included Plympton Castle. When King John died in October 1216, Fawkes faithfully supported the young Henry III and fought for him at the Second Battle of Lincoln (1217) where the forces of Prince Louis of France and the rebel barons were defeated. However, he later quarrelled with one of the King's key magnates - Hubert de Burgh, Earl of Kent - ultimately resulting in his fall from power. In February 1224, Burgh ordered him to surrender Plympton and Bedford castles. When Fawkes refused Robert Courtenay was sent to capture Plympton Castle. The garrison held out for 15 days before surrendering after which Fawkes fled abroad into exile. Thereafter Plympton Castle was retained by the Courtenay family. Plympton Castle continued in use into the fourteenth century and remained under Courtenay ownership until their estates were taken over by the Crown in 1539. By this time the castle had ceased to be an operational site but, upon the outbreak of the Civil War in 1642, it was quickly reactivated. Whilst the wider South West supported the Royalist cause, nearby Plymouth was a staunch supporter of Parliament. Accordingly by 1643 the town had been besieged by the King's forces and Plympton Castle was used as the headquarters for Royalist forces. It remained in this use until they were forced to withdraw in 1644. Thereafter the site was abandoned and has now been converted into a small park. Allen, R (1976). English Castles. Batsford, London. Bracken, D (1931). History of Plymouth. Bradbury, J (2009). Stephen and Matilda. History Press, Stroud. Douglas, D.C and Myers, A.R (ed) (1975). English Historical Documents Vol 5 (1327-1485). Routledge, London. Historic England (2015). Plympton Castle, List Entry 1003865. London. Pye, A and Woodward, F (1996). The historic defences of Plymouth. Exeter Archaeology. Royle, T (2004). Civil War: The Wars of Three Kingdoms 1638-1660. Abacus, London. Salter, M (1999). The Castles of Devon and Cornwall. Folly Publications, Malvern. Sewell, R.C (1846). Gesta Stephani, Regis Anglorum et Ducis Normannorum. Woolrych, A (2002). Britain in Revolution. Oxford University Press, Oxford. Plympton Castle consists of the earthwork remains of a motte-and-bailey fortification as well as fragments of the stone shell Keep. The bailey has been landscaped into a park. Motte. 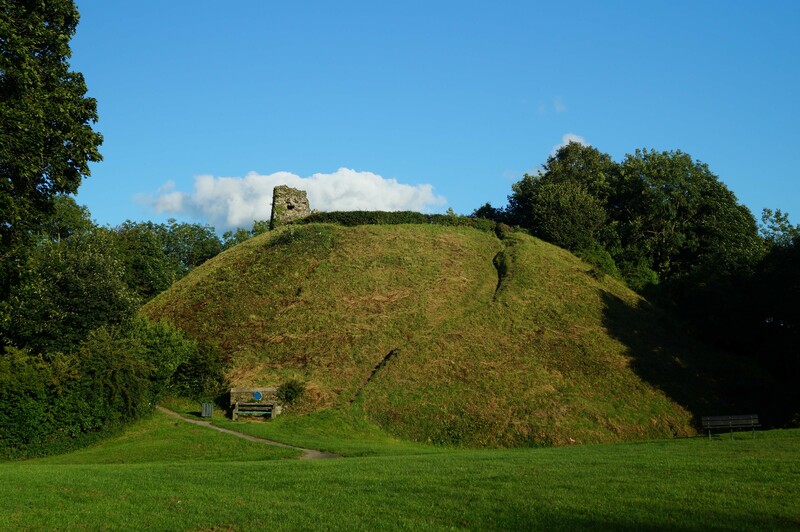 The castle's motte, which was probably enlarged when the castle was rebuilt in stone, is hugely impressive. It was originally surrounded by a ditch. Shell Keep. 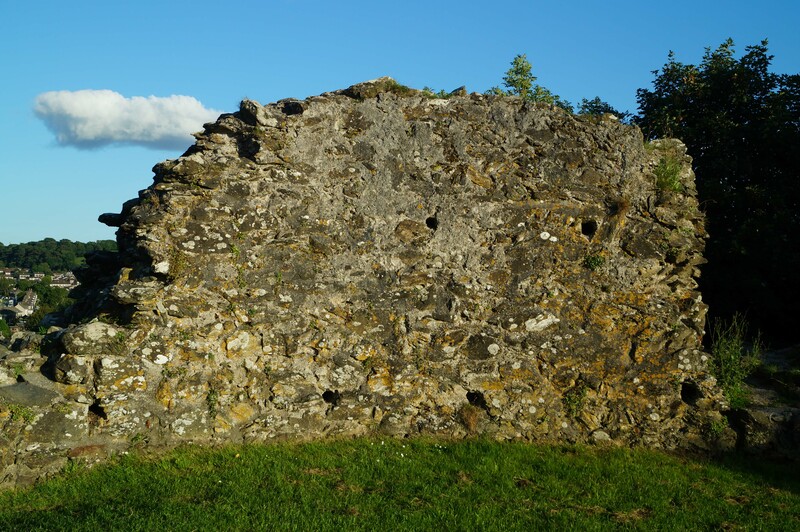 A small section of the thirteenth century shell Keep survives. Plug Holes. The remaining masonry fragments are covered with holes originally used to support timber scaffolding used during the construction. These would originally have been filled in with plaster or mortar. Bailey. The castle's bailey is now a public park. Whilst its outline survives it has been extensively landscaped. Ramparts. The bailey ramparts can still be seen although they have been landscaped and are a fraction of their original height. Church. The church was contemporary with the castle although has subsequently been rebuilt. Plympton Castle is found to the west of the town just off Barbican Road. There are ample on-road car park options nearby.